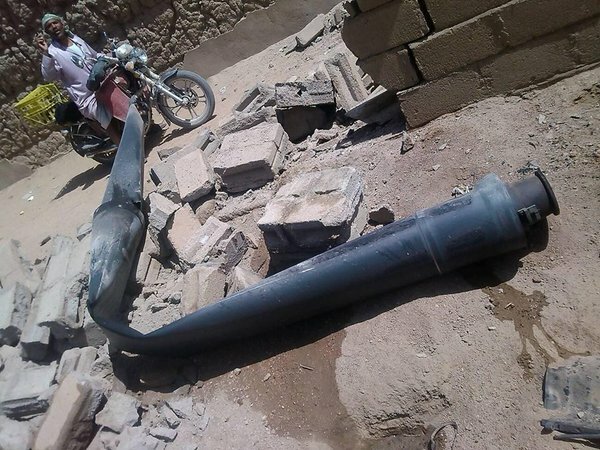 Update 151119: A 17 October video from the same pro-Houthi news outlet displays rocket remnants from a strike in the Saada governorate with clearly visible markings reading “SS-60 MK4” (see image below). 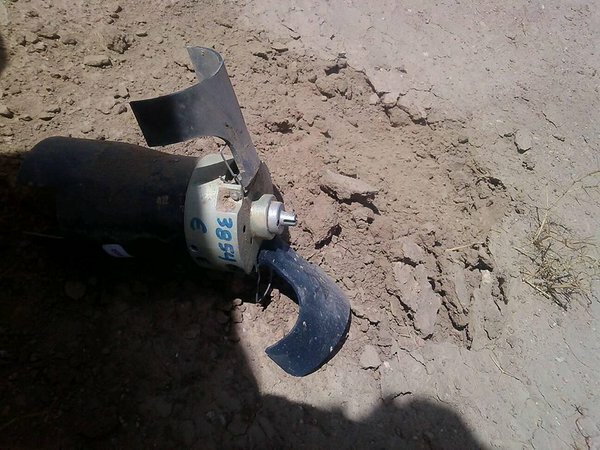 Recent YouTube video and images posted to social media show a number of unexploded submunitions of a type not yet documented in Yemen. 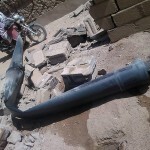 A video posted on 21 October 2015 shows unexploded ordnance (UXO) and other remnants from a strike in Saada governorate. 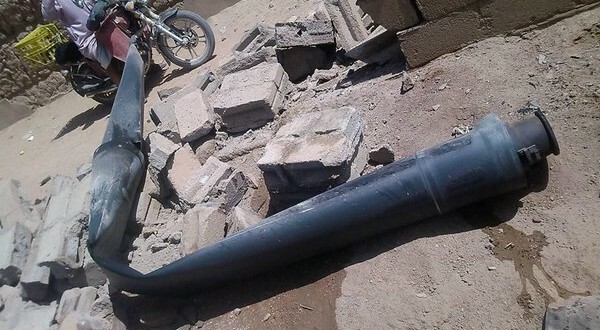 Images shared via Twitter on 28 October claim to show the remnants of a strike at a cucumber farm in Sihaar, in Saada governorate. Another set of images, also shared on 28 October, are purported to have originated in the Al Talh district of the Shabwah governorate. 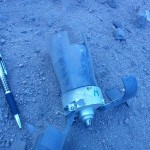 Rocket motor remnants, fins, and other components are also visible in the footage. 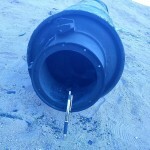 The remnants visible appear to be from SS-60 or SS-80 rockets, with the fins and motor configuration being useful diagnostic features. Both of these rockets are available with cargo warheads, as well as high explosive fragmentation (HE-FRAG) and other types. The SS-60 and SS-80 300 mm rockets are produced by Avibras Indústria Aerospacial of Brazil. These are fired from the ASTROS series of multiple-launch rocket systems (MLRS), which are currently capable of firing five types of unguided rocket. ASTROS stands for ‘Artillery SaTuration ROcket System’. With development beginning in the late 1980s, the ASTROS system is now in its 6th generation, known as the ASTROS II MK5. Brazil is expected to acquire the new generation MK6 systems under the ASTROS 2020 programme, which will include cruise missile options. The submunitions documented in Yemen share a number of design similarities with 70 mm M7 high explosive dual purpose (HEDP) submunitions produced by Avibras. Confidential, high-quality images of M7 submunitions, sighted by ARES personnel but not available for publication, support this theory. 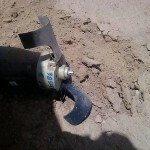 Avibras is also known to produce a smaller submunition, believed to be 55 mm in diameter. 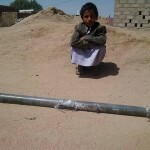 The munition documented in Yemen appears to be approximately 50 – 60 mm in diameter. The main body (charge) section is the same shape, colour, and design as the M7, with the configuration of the stand-off section also a useful diagnostic feature. 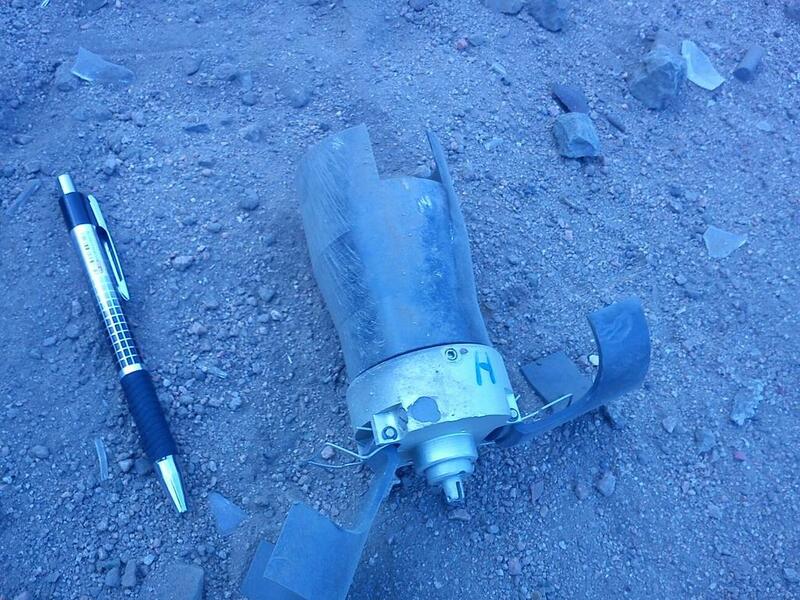 This indicates that these submunitions are almost certainly of the HEDP type. 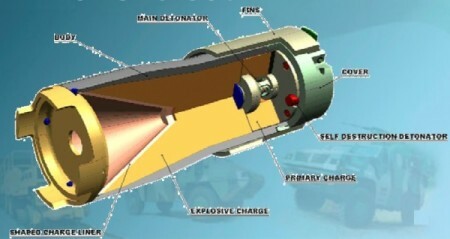 The rear (fuzing section) of the submunition is distinctly different, however, featuring folding fins of a design not yet identified. 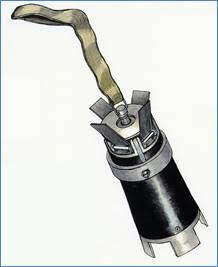 Known M7 submunitions feature a combination of short fins and a stabilising ribbon, as shown in the line drawings at left. 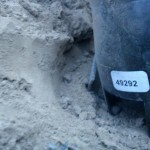 The M7 submunitions ARES reviewed were marked with the designation, manufacturer’s name, lot number (including month and year of manufacture), operating temperatures, and an indicator of operational lifespan, exactly five years from the month of production. 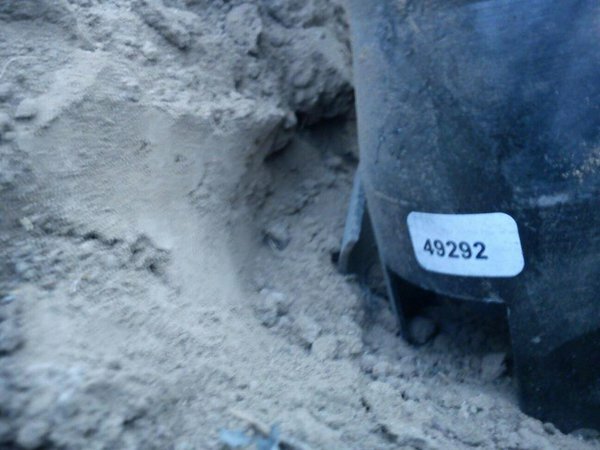 In one set of images showing from Yemen, the submunitions appear to feature only a single character ‘H’ on the fuzing section (hand-applied), and a sticker reading ‘49292’ applied towards the forward end of the submunition, shown above. In another, the submunition has hand-applied markings that read ‘3854 [? ]’ and the letter ‘E’, as well as a sticker which is not legible due to image quality (see below). 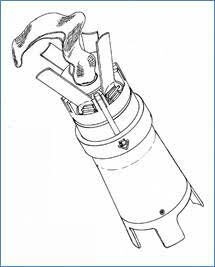 From 2001, submunitions designed for the ASTROS series of cargo munitions feature self-destruct devices which function “a few seconds” after impact, in case the fuze fails to function (see below). Avibras claims this new system has a 99% reliability rate. 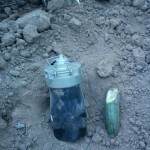 In this case, it appears the submunitions employed were produced prior to 2001, or the mechanisms did not function as intended. According to standard international reference sources, in 1992 Qatar received the ASTROS II with both SS-30 and SS-60 rockets, and Saudi Arabia received the ASTROS II with SS-30, SS-40, and SS-60 rockets. Saudi Arabian forces used Astros II systems to engage Iraqi targets with the M7 submunition during the first Gulf War. Images from Twitter and YouTube sources as referenced. Line drawings by the late Lyn Haywood. Cross-section from official Avibras company presentation.